The Air-to-Air Heat Exchangers use exhaust air to pre-condition incoming air to reduce cooling or heating demand and the overall size of the air conditioning system. This improves the energy efficiency of the building and can also help to comply with buildings regulations. 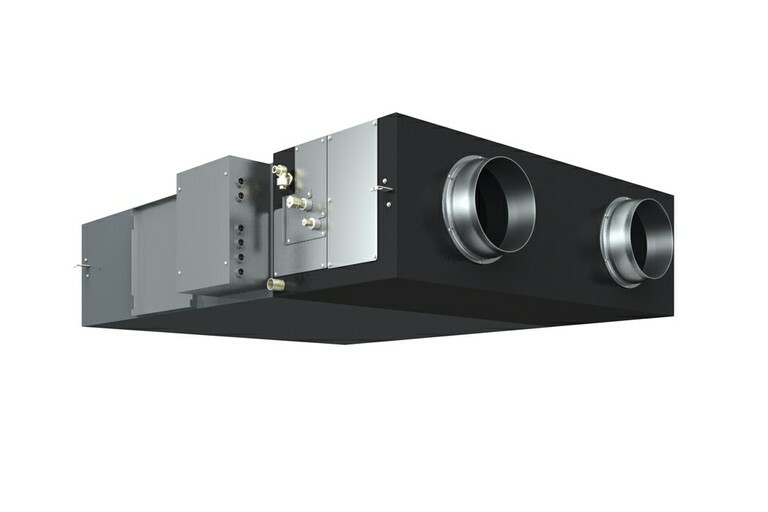 The Air-to-Air Heat Exchangers use exhaust air to pre-condition the incoming air, integrated with the VRF system allowing a total building solution. The Air-to-Air Heat Exchangers with DX coil & humidifier use exhaust air to pre-condition the incoming air, integrated with the VRF system allowing a total building solution.